Steve Heiting’s first hunting book … get it here! Steve Heiting’s obsession for hunting white-tailed deer in the big woods of the upper Great Lakes states and Canada has resulted in a new book. 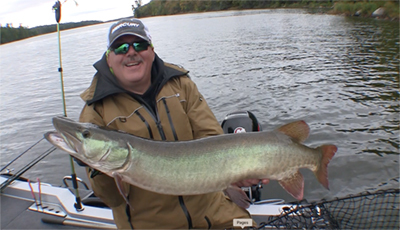 Heiting, the managing editor of Musky Hunter magazine, who has written, edited or contributed to 21 different books about musky fishing, made boot tracks in a different direction with the release of his first hunting book, Hunting Northwoods Bucks. Hunting Northwoods Bucks is a 200-page softcover book packed with 61 photos and illustrations. It is also available for all digital platforms through Amazon Kindle. Heiting has deer hunted in the northwoods for more than three decades and has tagged big bucks with rifle, muzzleloader and bow. An avid stand-hunter, he has also been successful making deer drives, still-hunting and tracking. 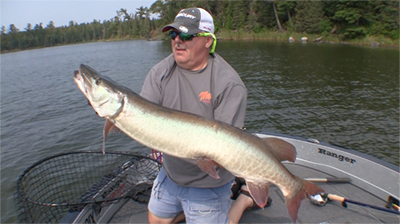 He addresses all of these methods in Hunting Northwoods Bucks. However, Hunting Northwoods Bucks is more than a nuts-and-bolts how-to book. Heiting uses anecdotes liberally to emphasize his points, and takes readers along on some of his favorite hunts. Included is the story of the hunt for his largest buck, a giant that he and a friend pursued for three seasons and considered unkillable. Other tales border on the surreal; visit a turn-of-the-twentieth-century northwoods deer camp; and humorously chronical the frustration of hunting for deer Heiting suspects were smarter than he. The book includes a foreword by Dean Bortz, the editor of Wisconsin Outdoor News and also a northwoods deer hunter. Heiting [chronicles] the lifelong process of learning, studying and experimenting with deer hunting strategies. 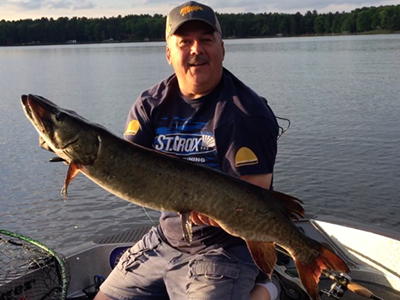 He’s had dozens of successful hunts, most in his favorite place in the world: the Northwoods. His respect for the white-tailed deer has only increased over the decades. He also knows a successful hunt doesn’t always end with a buck in hand. Through it all, Heiting maintains the optimism that keeps the light shining in northern deer hunting camps. In “Hunting Northwoods Bucks” by Steve Heiting, benefit from the first-hand experiences of the author’s seasons filled with braving the cold wilderness of the northwoods — a location known for having deer numbers of 10 or fewer per square mile. If you’re ready to join Heiting and others for the adventure of a lifetime, and the invigorating challenge of hunting white-tailed deer where they’re known to be sparse, this book, and the whitetail hunting tips inside, is for you. Whether you strike out alone on a still-hunt, team up for a big woods drive, or spend the season sitting in a well-placed stand, you’ll enjoy Heiting’s deer-camp tales and gain wisdom from his hard-learned lessons. A must-read for the serious buck hunter. As I read, I smelled the spruce swamps and felt the cold, northwest wind in my face. I tasted the buck stew made on a deer-camp wood stove and my clothes even smelled like buck lure to me. All that experience and more was revealed through the pages of Steve Heiting’s book, “Hunting Northwoods Bucks.” Heiting is not a know-it-all. While he has harvested many mature bucks in difficult places to hunt, he has this to say about deer hunting: “The more I learned the more I realized how little I knew.” I think most deer hunters can relate to that. Whether you’re new to hunting or have years under your belt, the learning never stops. 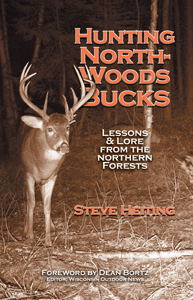 If you get the chance to read “Hunting Northwoods Bucks” by Steve Heiting, you’ll come away with at least a few golden nuggets of information, as well as an inside look at the hunting rituals, challenges and even the jubilations of hunting deer in the Northwoods — the place where deer camps really started! Great read. If you hunt the big northwoods you will enjoy this book. Steve’s tips and tactics and story’s of deer camp makes for a great read. It will put you at deer camp no matter where you are. Good read…very interesting. Good information for beginning as well as experienced deer hunters. The stories about the deer camps were quite entertaining. Great read! Hunting Northwoods Bucks was a very entertaining read for this long time hunter. 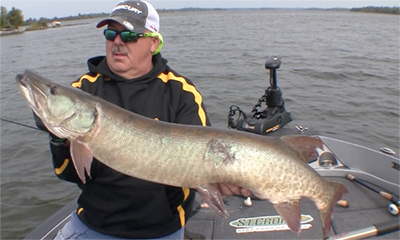 Steve succeeds at bringing the reader into his world of hunting in the “big woods”. His refreshingly sponsor free compilation of topics kept me turning the pages. I especially liked the stories Steve tells. They make me regret not keeping a diary of my hunting camps exploits. The tips and techniques outlined between the covers made me think about new ways to pursue whitetail deer where I hunt. • Credit card users click on “Add to Cart” below. • Mail a check to Pinemere Press, PO Box 326, St. Germain, WI 54558. Your total in Wisconsin is $19.76 per copy ($14.95 for the book plus $.82 sales tax and $3.99 shipping). Outside of Wisconsin, your total is $18.94 per copy ($14.95 for the book plus $3.99 for shipping). • Digital versions are available through Amazon Kindle by clicking here.